El Paseo Arts Foundation serves the communities of the Lower Laguna Madre Area. The mission of the Foundation is to encourage, promote and support the arts for the education and benefit of all the communities it serves. The Foundation’s vision for the future is to develop the area as a regional arts destination complete with its own arts center. To achieve this vision, the Foundation’s Board and membership have developed a strategic plan. Organizational Development: Develop a respected and recognized regional arts organization. Education: Promote an understanding and appreciation of the arts. Promotion: Develop a climate that supports arts production. Communication: Serve as a communication link for the arts and arts organizations. Advocacy: Serve as an advocate for the arts in the Lower Rio Grande Valley. Certain fundamental principles underlie the Foundation’s commitment to its mission and vision. All the area communities deserve the opportunity to participate in and enjoy arts in all its forms. Visual artists, literary artists and performing artists are part of a community of artists who should work together to support and advance their arts. Art brings people together to celebrate beauty, to make and create meaning and to honor their shared past and present cultural heritage. Art provides a life-long way for indiviudals to express their creativity, their sense of beauty, their emotions and their insights. The Lower Rio Grande Valley is a regional arts destination. 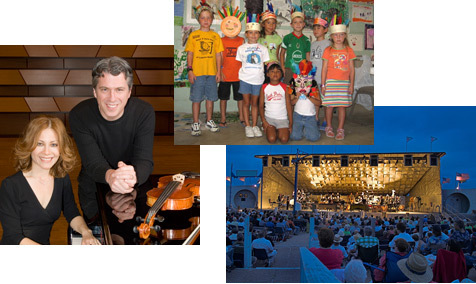 Local area residents and visitors to the area enjoy a year-long schedule of arts activities, many of which are held at a new, state-of-the-art Center for the Arts. This arts center includes a large performance venue and a smaller, multi-functional performance space. Local, state, and nationally known performers grace the stages of the center. In addition, the center has a museum and galleries which boast a fine collection of work done by local artists. The collection reflects the international culture and history of the area as well as its coastal and border location. To support the development of young artists and aspiring artists, the center has an art library and classroom and workshop space for special sessions that are held throughout the year. Visitors to the center can also enjoy the beautiful natural environment with a walk in the botanical and sculpture gardens. El Paseo Arts Foundation maintains an office in the center and oversees the work of an artistic director who manages the center’s activities. The Foundation’s website and its annual publications provide information on area arts activities, educational articles, and political updates related to arts funding or legislation. The website also links to local government and tourist websites and to local, state, and national arts groups’ websites. The Lower Rio Grande Valley area has many active local arts groups in the visual, literary and performing arts, and the Foundation serves as an umbrella organization for these various groups, providing assistance with grant funding initiatives, financial support for special cooperative projects, and networking efforts with state and national organizations. The Foundation is also a strong and nationally recognized advocate for arts funding and support. The arts activities at the Center and those developed by partnership efforts with local community groups play a major role in attracting tourists to the area, and have helped to generate tax revenues for the local communities. The arts activities also enrich the lives of the residents in the area. Many of the multi-day arts events celebrate local history or traditions and bring communities together in celebration. All area students have benefited by developing an appreciation and enjoyment of the arts. They, along with many of the adults in the area communities enjoy participating in local arts groups or celebrations. In addition, many local students exposed to the arts experience as a regular part of their life and education have gone on to study the arts in college and develop successful careers in the teaching or making of art.